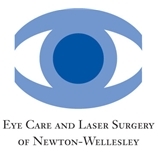 Eye Care and Laser Surgery of Newton-Wellesley (Newton) - Book Appointment Online! Comprehensive Ophthalmology with special interest in Laser Refractive Surgery "LASIK and Advanced Surface Ablation". Laser Cataract Surgery, LASIK after Cataract Surgery. Contact lens fittings.